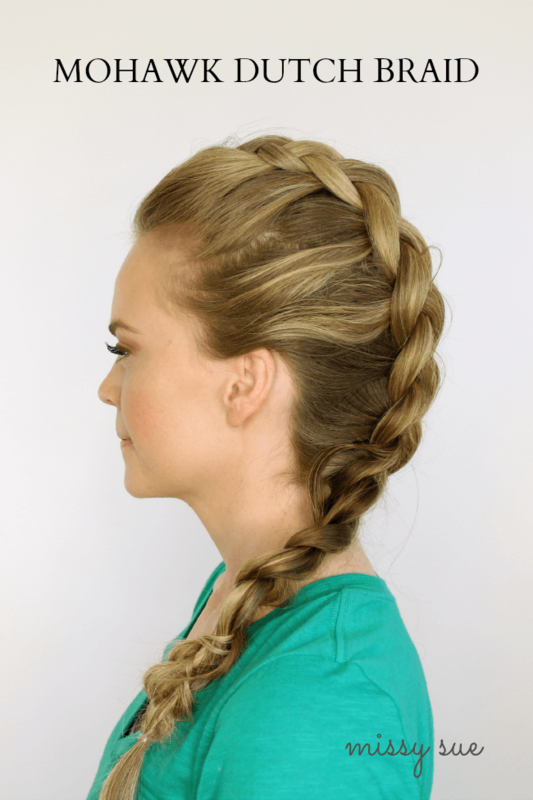 and even made it the feature picture for my How to Braid video. I can’t get enough! 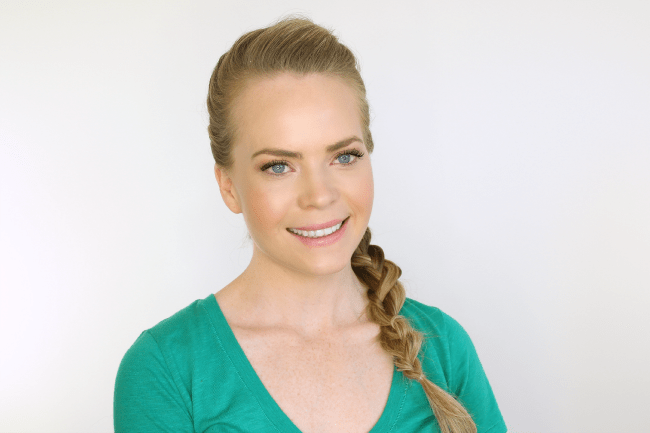 I love Dutch braids so much they will always be on serious repeat in my repertoire. 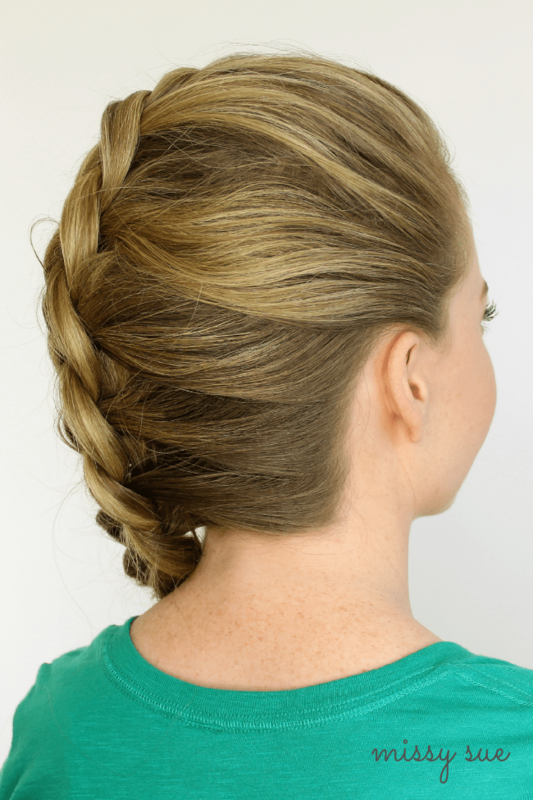 I figured it was high time I show you one of my favorite versions, this Mohawk Dutch Braid, which I recently wore in my outfit post, Polka Dot Dress-Look 2! Step 1 / Start by brushing all the hair straight back. Step 2 / Next divide out a section of hair, right at the forehead, from corner to corner. Step 3 / Then take a strand directly behind this piece, that is half the size, on the left side. Step 3 / Now take another strand directly behind this piece, half the size, on the right side. Step 4 / Cross the strand on the left under the large middle strand. Step 5 / Next, cross the strand on the right under the middle strand. Step 6 / Cross the left strand under the middle and bring in a section of hair. Step 7 / Cross the right strand under the middle and bring in a section of hair angling the braid so it is slightly off center. Step 8 / Continue braiding the Dutch braid so it stays off center and curves around the ear and down to the left side of the nape of the neck. Step 9 / Once the braid reaches the neck, finish in a regular style braid so it lays over the left shoulder. You and your tutorials are great, Melissa! 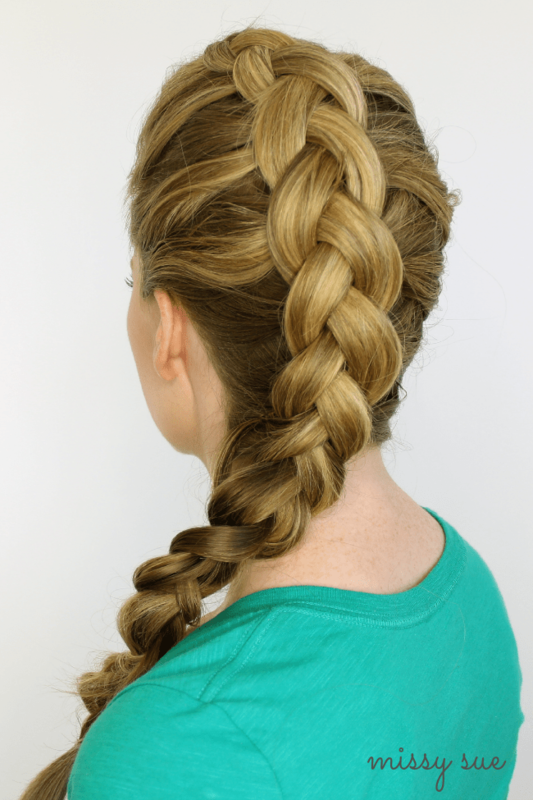 Just one question – aren’t your arms getting tired when braiding? 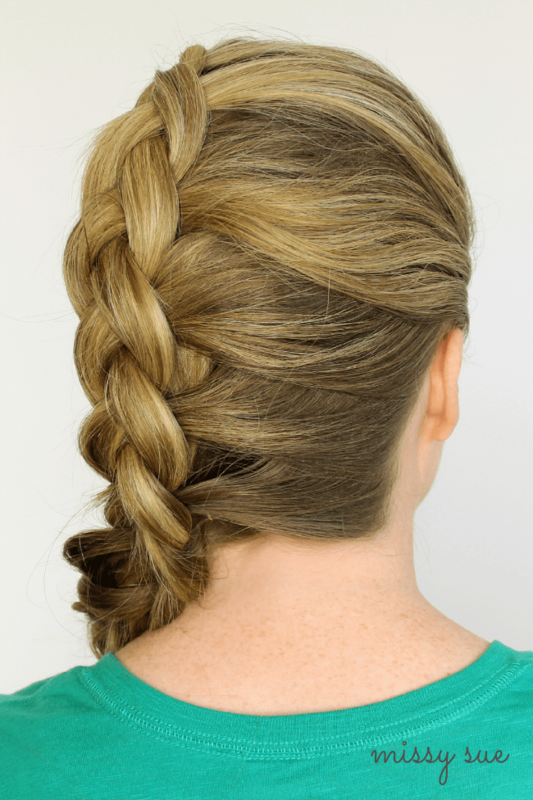 I can’t braid longer than 1 minute on the top of my head (Yep, sometimes it takes longer when redoing). Greetings from Germany!